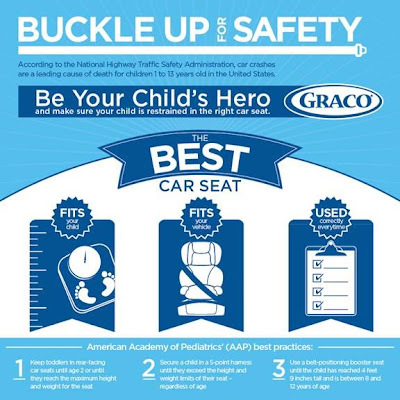 It's National Child Passenger Safety Month so take a “Buckle Up for Safety” pledge on Graco's Facebook Page. Pledge your commitment to child passenger safety - every pledge equals a donation of $1 to Safe Kids Worldwide until Graco reaches their goal of 10,000 pledges! Thank you for sharing I love to take pledges like this to give back even if it is in a small way. THis is a wonderful program. All Moms and Dads should take the pledge. i will be taking the pledge...great cause! Car seat safety is so important! We used a Graco infant carseat and my grandsons were well protected. I pledged to buckle up! I believe this is a very important commitment we should make to our children and loved ones.